You might have seen her, you might know her or talked to her at IFE but didn’t realize who she was. She’s Cari Bailey, the super talented and high energy professional who will guide SWFA to new heights in 2019 and beyond. Upon resignation notification of SWFA’s current director of 17 years, John Elsner, a search committee was comprised of 3 people- Suzy Cravens, Jason Looft and Dwayne Carnes. They reviewed proposals from 10 different executive search companies and proposed several to the board. Cari Bailey fit the SWFA culture perfectly. She has been an educator / administrator for over 20 years, is an accomplished team builder and leader. 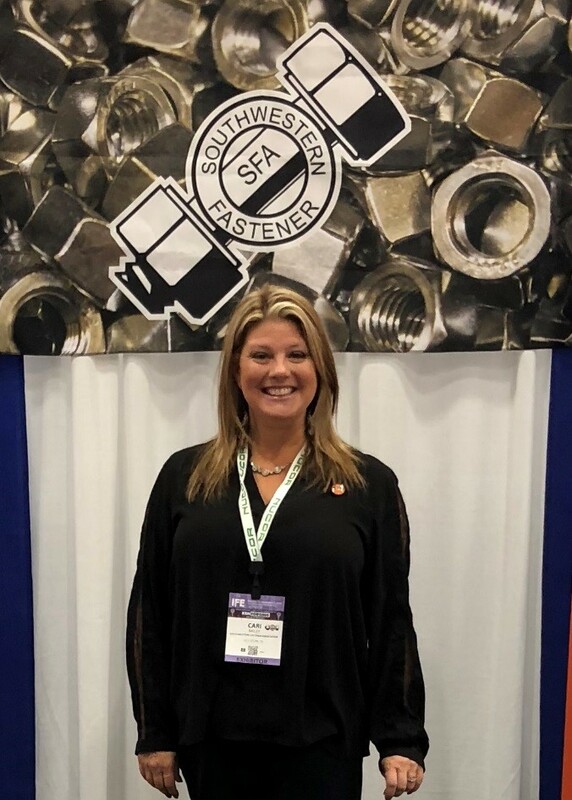 She is very well connected to the fastener industry and has worked the SWFA booth for the past 2 years at the International Fastener Expo. She is currently an Assistant High School Principal, of which she will retire that position at the end of this school year to focus solely on SWFA.